Data Modeling with Multi-Model Databases — A case study for mixing different data models within the same data store, based around the open source multi-model database ArangoDB. Switching User Database On A Running System — Spotify shares the tale of what happened to switch all their user storage from Postgres to Cassandra. Bringing SSL and More to Compose MongoDB — There's a new MongoDB deployment option going into beta at Compose and it brings SSL connectivity and a new flexible configuration to the table. Rather than use MongoDB's SSL, we configure our deployments with our own special sauce that allows us to use the mongos router. 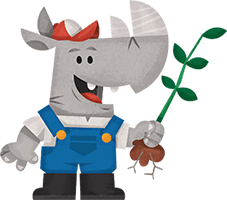 Test PostgreSQL 9.5 Alpha in a Docker container — Postgres 9.5 is around the corner and if you don’t want to wait until it’s fully released to start playing here’s a Docker container to get you up and running with it. A First Forward Look at MongoDB 3.2 — MongoDB 3.2 is due by the end of the year, but what can we expect from it? Heroku Announces General Availability of Its Redis Solution — Heroku’s in-house Redis hosting system is now generally available. A new feature called ‘Data Links’ has also been announced to let Heroku users easily do data federation; it uses Postgres’ foreign data wrappers under the hood. MySQL Performance Optimization: 50% More Work with 60% Less Latency Variance — A look at Pinterest’s path to discovering an optimal configuration for its MySQL cluster including benchmark results and what the configuration looks like in these slides. Oracle's Biggest Database Foe: Could It Be Postgres? — An EnterpriseDB survey showed 77% of users are dedicating all new deployments to PostgreSQL with 37% reporting they had migrated existing apps from Oracle or Microsoft SQL Server to Postgres. The Data Lake — A look at the concept of ‘data lakes’, a term taking off in popularity lately. Compared to warehouses, data lakes let providers push all their data in for future use without an aggregation stage.